Many worry about aging because not only does their skin become more wrinkled due to the elasticity decreasing over time, but their hair starts to thin and become grey as well. That said, as people age, their hair becomes duller, thinner, and more brittle. And, both men and women will start losing their hair as well. Especially if they live in colder climates with harsh winters. Sorry for painting a grim picture, but this is what most of us go through. As we get older, we are more motivated to look for hair products that will soften and properly nourish our hair to make us look younger. 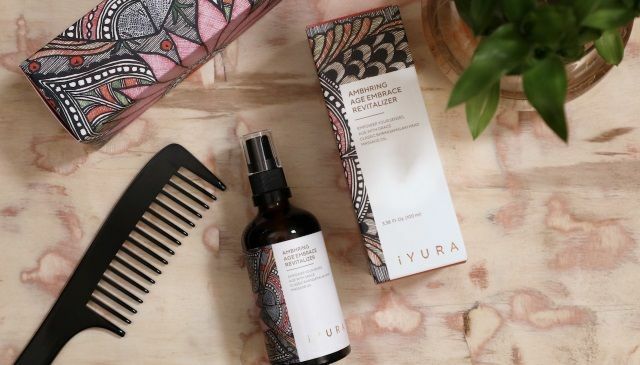 And, the problem is that there are very few all-natural Ayurvedic hair treatments around, such as iYURA Ambhring Hair Oil, that may help bring your hair back to life. In fact, most hair products are not completely natural and have added chemicals. Such chemicals make hair even more limp, brittle, and dry after prolonged use. On the other hand, the other alternatives such as essential oils make hair oily potentially causing facial, head, and neck blemishes. Which brings us back to the original problem. If you are looking for all natural, ayurvedic or herbal alternative to improve, then you may want to take a look at Ambhring Hair Oil, also called as, iYURA Ambhring Age Embrace Revitalizer. What Is The Ambhring Hair Oil And How Can It Help? The Ambhring hair oil is the quintessential hair oil composed of powerful herbal ingredients such as Bhringraj and Amla, which gives you revitalizing benefits and improves hair hygiene, and is meant for mature men and women over 35 years of age. Both Bhringraj and Amla are excellent treatments for limp and dull hair. But it does not mean that an oily scalp won’t benefit from them. These herbs are known to provide youthful, voluminous, and beautiful hair throughout the history of Ayurveda. Thus, by staying away from ayurvedic nurturing oil, you don’t want to miss out on numerous benefits offered by all-natural and herbal ingredients. Continue reading our Ambhring Hair Oil review to learn about its ayurvedic ingredients and their individual benefits. The Ambhring hair oil has plenty of Ayurvedic herbs that are part of its formulation that have proven to naturally nourish, revitalize, and drastically improve the condition of hair. One potent herb that is part of the composition of the product is Amla. Amla is a medicinal herb that has been used throughout Ayurveda history and has been known to improve the health of the hair and the scalp. This herb is also known as the Indian gooseberry. According to Medical News Today, Amla has been known to moisturize dry scalp, and liven up and nourish dry hair. Amla is full of vitamins and minerals that are excellent for treating hair and the scalp. In fact, Amla is great food for the hair, and promotes growth as well. Amla is also used to treat dry skin, improve immune function, and has been used to heal respiratory infections. Another potent herb that makes iYURA Ambhring Age Embrace Revitalizer unique and powerful is bhringraj, and it blends well with Amla. Bhringraj or false daisy is one of the most well-known Ayurvedic medicinal herbs that not only nourishes hair, but also promotes growth of lustrous hair. According to NDTV Food, bhringraj stimulates hair follicles which means it will help hair grow in a healthy way, while it moisturizes and nourishes the scalp as well. In fact, the Amla and Bhringraj herbs alone together is what makes the Ambhring hair oil powerful. False daisy has so many other healing properties which treats skin conditions of various types, as well as digestive issues, and promotes immune function. However, there are many other potent Ayurvedic ingredients in the Ambhring Hair Oil recipe that even make it more powerful, such as sesame seed oil. iYURA Ambhring Age Embrace Revitalizer also contains Sesame seed oil, which has so many important properties that can treat many ailments such as dry skin, digestive disorders, and help promotes proper immune function. However, according to Stylecraze, sesame seed oil has so many fantastic benefits when it comes to nourishing your hair. Sesame seed oil not only treats premature greying, but it promotes hair growth, and protects hair from harmful UV rays so that the color and moisture stays intact. It has even been known to treat head lice, and it treats dryness and helps reduce dandruff. This important ingredient also helps your hair maintain its natural shine, it revitalizes damaged hair, and helps to prevent hair loss when it comes to stress. You already know that the Ambhring hair oil is made of powerful herbs by learning about the powerful benefits of the Amla herb and of bhringraj. And, there are more ingredients that are potent that are in the formulation of this product, such as licorice. Licorice root is one of the most used herbal remedies throughout Ayurveda history because it treats a lot of ailments. Not only does it help treat various skin conditions, digestive issues, as well as the fact that it promotes proper immune health, it also is an excellent hair nourisher. According to Stylecraze, licorice nourishes and moisturizes the scalp, it promotes hair growth, and it prevents premature baldness. Licorice also helps treat damaged hair from the sun, split ends, and treats dandruff. The bottom line is that it drastically improves the health of your hair, and revitalizes it. Another powerful ingredient that is part of the composition is cow milk. Cow milk is an another important addition to the composition of the Ambhring hair oil, because it is an excellent nourishment source for hair. According to Stylecraze, the proteins in cow milk help thicken and beautify hair. Not to mention that it helps with promoting hair growth, it strengthens hair, and it helps bring out natural shine. That said, when you have all of these powerful hair-nourishing Ayurvedic ingredients in a hair oil, you have everything you need and that you want in a hair treatment. Let’s now talk more about the iYURA Ambhring Age Embrace Revitalizer benefits. Makes your hair appear youthful – With all the ayurvedic ingredients working together, you will find your hair become just as healthy as it was when you were much younger. Having lovely, soft, youthful looking hair alone will make you feel a lot better. Restores your natural hair color - You want in a hair oil to help stop you from getting grey hair prematurely. With Ambhring hair oil, you will not see grey strands and your natural hair color will come back. Repairs damaged hair - If you have been walking around with damaged hair from the sun, split ends, and possibly from a poor diet, then Ambhring oil will repair your hair strands and in a short time you will see its health considerably improve. Promotes hair growth and prevents balding - Both men and women over the age of 35 start losing their hair, and when that happens, that can be quite distressing. That said, this product will help promote hair growth while it prevents hair loss. Thickens your hair - The part of the reason that this formulation will revitalize your hair is because it helps thicken it based on the nutrients and proteins from the cow milk especially. Thin hair does not appear healthy, but thick hair always appears to be full of life. Restores your shine - If you have been having dull hair for many years, then you will be happy to know that iYURA Ambhring hair oil may help restore your hair’s natural shine. Moisturizes your scalp - Having dry and itchy scalp can be distressing, especially if it becomes a daily struggle. This product may nourish your scalp and hydrate it. Protects your hair from UV rays - The ozone layer has been thinning for a long time which means the sun’s harmful UV rays will come through. Ambhring hair oil will protect your hair from damaging and harmful UV rays, and help reverse the damage as well that has already happened. A great confidence booster - If you have been self-conscious because of having hair that has not been healthy, and has been dull, then after using this product, you will love how quickly your hair becomes lustrous, vivacious, and beautiful. That will make you feel a lot better as well. Chemical free - The Ambhring hair oil is free of chemicals, parabens, and mineral oil. It is 100% natural. Cruelty-free - This product has never been tested on animals. Now that you have heard all of the iYURA Ambhring oil benefits, you are going to want to know how to use it. The instructions on how to use the Ambhring hair oil are very easy. All you need to do is to warm up the oil and then rub it into your scalp in every spot, and then massage it into your hair and locks for 10 to 15 minutes to get the full benefit every night. You can also use a Kansa wand to massage your scalp and hair if you don’t want to use your fingers. After that has been done, wash your hair at least 30 minutes of the application. Be consistent with this in order to experience the benefits. However, you will need to learn about what to consider before purchasing iYURA Ambhring Age Embrace Revitalizer. Even though iYURA Ambhring Age Embrace Revitalizer is completely natural, it does not mean that you don’t need to make considerations before purchasing the product. This product is cruelty-free, and has never been tested on animals, however it is not vegan since it has cow’s milk. Thus, you will need to test for allergies to cow’s milk or any of the other ingredients of this hair oil. You can do that through a patch test or getting a referral from your doctor to an allergist. And, if you have wounds or rashes, be sure to keep the hair oil away from it as it could aggravate it more. Also, you will only want to use gentle, herbal shampoos after using iYURA Ambhring Age Embrace Revitalizer. Chemical-based shampoos will reduce its effectiveness. You will also need to wait to wash your hair at least 30 minutes after the application. Ambhring Hair Oil is only meant to be used externally, and if you have any concerns about pregnancy, breastfeeding, or if you are worried about experiencing any drug interactions - you are strongly advised to consult with your doctor. 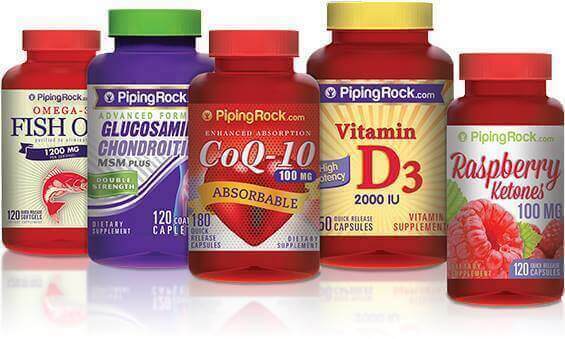 This product is not meant to treat, prevent, or cure any ailment. And, be sure to use the Ambhring Age Embrace Revitalizer up within 24 months of the manufacturing date or else it will not work. You may also be wondering if there are any alternatives to the Ambhring hair oil. Let’s take a look at some and make some comparisons. Aspen SOIL All Natural Organic Serum + Hair Oil - This hair oil is meant to help repair damaged hair and restore its shine. However, the ingredients of this hair oil is not known. It has been said to be natural, but many products on the market are also said to be natural when they actually do have traces of harmful chemicals. You know exactly what the formulation is for the Ambhring hair oil. Briogeo Rosarco Oil - This hair oil is made of vitamin E and coconut oil which are full of nutrients and antioxidants, and that will help repair damaged hair. This will also help moisturize the dry scalp, however, this hair oil lacks the extremely beneficial Ayurvedic herbs and ingredients which makes that hair oil a lot less potent than the Ambhring hair oil. dpHue Argan Oil Hair Therapy - This hair oil is made with shea butter, argan oil, and vitamin A and vitamin E. And, these nutrients will help repair damaged hair and will moisturize the scalp. However, again, there are no Ayurvedic herbs in this formulation which will make this hair oil less effective and potent than the Ambhring hair oil. The Ambhring hair oil is the only hair oil that will provide you with all of the benefits that you are looking for in a hair oil. That is because it is the only one that is composed of potent and healing Ayurvedic herbs. Purchasing this hair oil is easy to do, and it is very easy to find. The place where you can purchase the Ambhring hair oil among other iYURA products is through the Ayurvedic Experience website. You will always find great discounts and savings, depending on when you make the purchase. And, you can also collect rewards from your purchase, and use those rewards for future purchases from the website without spending money. And, when you purchase any product from this site, you will receive a free Ayurveda Experience video course. Be sure to sign up to their newsletter so you can stay in the loop with any future, deals, discounts, or sales for iYURA Ambhring Age Embrace Revitalizer, that you will not want to miss. Abhring Hair Oil is an effective hair treatment, if you have been suffering from limp, dull, dry, thin, and greying hair for a long time, and especially if the condition of your hair is getting worse over time due to age. As you age, you lose water and this is why your skin elasticity becomes poorer, and it is natural for this to happen. But that does not mean that you will not be able to restore health of the hair you had when you were much younger. The iYURA Ambhring Age Embrace Revitalizer is one of the very few the Ayurvedic hair oils that are completely natural, made with potent herbs and ingredients, and is formulated in a way that will not only revitalize and moisten your hair and scalp, but it will also make your hair look younger. The Abhring hair oil will properly nourish your hair, make it look thicker, treat dandruff, and repair and protect damaged hair from UV rays. Additionally, you may also find that your hair grows quite well, and you no longer shed that much hair after using this product. The Ambhring Hair Oil is a excellent alternative for bringing life back to your hair in a natural way.